With the lucrative Asian market set to grow, avocados are a great investment for those in the right region. 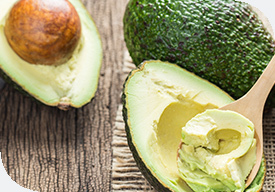 Avocados are New Zealand’s third largest fresh fruit export, after kiwifruit and apples. It is an exciting time for this thriving industry, with huge increases in green fields investment, and industry plans to triple productivity per hectare, and quadruple returns, by 2023. New Zealand’s avocado regions are Bay of Plenty and Northland, where trees can stay frost-free. Site selection is extremely important and needs careful consideration. They need free-draining soil, as well as flat or gently sloping terrain for harvesting machinery. Orchard size varies from 0.1 hectares to over 100 hectares, while the average New Zealand avocado orchard is 2.8 hectares. Avocado trees perform best with regular pruning. Other necessary maintenance includes irrigation, fertilising, and pest monitoring and management. A well-performing orchard is generally due to good site selection and management. The average orchard gate return for the 2016/17 season was $38,000 per hectare. However, with yields varying from 4 to 40 tonnes per hectare, returns vary considerably. Although well-managed properties return well, struggling trees toil to make good returns. Avocado trees can start producing as early as year three and will build up to full production around year seven. Uniquely, avocado fruit can be ‘stored’ on the tree and will not start ripening until it is picked. Trees commonly retain last year’s crop during the next season’s flowering and fruit set. Avocados are prone to irregular bearing, so production can fluctuate significantly between seasons. Jen Scoular has been chief executive of New Zealand Avocado since 2011 after a posting as a trade diplomat and various roles at Zespri International. She lives in the Bay of Plenty on a two-hectare block and avocado on toast is still her favourite breakfast.